Columba Industries Corporation is a full -service precision tooling and component manufacturer and turn-key new product development company. We help customers accelerate growth and gain competitive advantage in their markets. Are you an entrepreneur, inventor, or a senior executive in charge of your company’s New Product Development? Timely execution of NPD projects and controlling product cost have always been a challenge for companies big or small. Columba Industries stands out in the manufacturing industry by utilizing real-time cost modeling and employing innovative solutions. If you want to launch a new product with unmatched speed and a fraction of your anticipated cost, you’ve come to the right place! Tell us about your New Product Development needs briefly and we’ll contact you shortly for a free consultation. With our rich experience in selecting materials and manufacturing processes and controlling costs, we’ll provide you with the smartest manufacturing processes with least cost. We bring real solutions! Our pride is your success! Columba Industries provides customers with world-class stamping die design and manufacturing service. We are capable of building stage, progressive, and transfer dies, with steel or cast die shoes, for automotive, appliance, and OA industry. 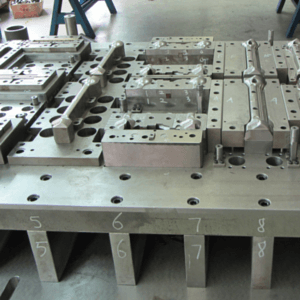 We supply automotive stamping dies for manufacturing parts of seating, suspension, brake system, clutch, window lifting system, etc.. Max press tonnage for tool tryout is 1600T. We make ultimate effort to build a project management process that allows engineers and workers to take full responsibility for their work, pay attention to details, and address problems by eliminating root causes. 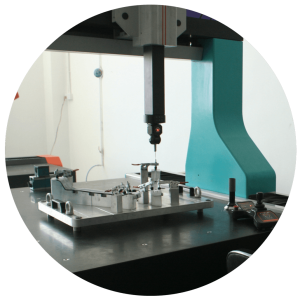 Our tool designers and manufacturing engineers have been trained by experienced tool engineers in United States. Lean manufacturing concept is adopted so that things are done correctly the first time, while waste of materials, labor, equipment time, and management time are minimized. Columba Industrial Corporation provides precision metal parts processed through casting, extrusion, forging, machining, molding, spring forming, sintering, heat treatment, plating, etc. 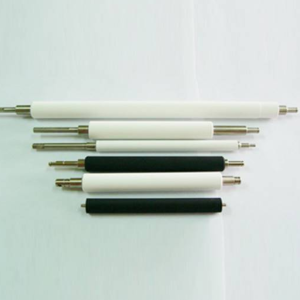 We are also specially experienced in making molded rubber parts such as platen rollers, feed rollers, timing belts and extreme condition rubber seals. These parts are used for a variety of applications such as turbines, automotive, OA equipment, machines, lighting fixtures, etc. We treat every customer’s order with ultimate care and attention, and guarantee 100% conformity to customer drawings. Customers are pleased Columba Industries’ ability to develop unusually challenging industrial parts. Columba Industries certify that our products meet U.S. and international standards for manufacturing and quality control. Our strategic manufacturing partners operate under the guidelines of ISO 9001 and/or TS 16949 quality systems, with capabilities to generate PPAP and SPC documentation. Our quality control objective is zero defects for all delivered parts and 100% conformance to customer requirements. With our in-depth understanding about materials, manufacturing process, and cost structures, we can help customers select the most suitable materials and most efficient manufacturing processes for the new products we help them to develop at globally competitive costs. Not only we help customers to transform an idea into a product with our precision manufacturing expertise, but also we provide one stop packaging development service to help customers launch their product with unmatched speed. With our unparalleled resources, we help customers manage supply chain of sourced components and packaging import and export of materials and finished products as part of the new product development solutions. Customers need not manage all elements of manufacturing and launching a new product themselves. We do it faster, cheaper, and better. We really do! We supply precision components made with aeronautical materials such as superalloy, titanium, aluminum alloy, rubber, etc. We combine design expertise in USA and manufacturing resources in China to build high quality stamping dies at highly competitive costs. We build high quality tools and parts for manufacturers that make engines, generators, OA machines, lighting products, etc. We build high quality tools and parts for manufacturers which makes household appliances. We help customers prototype and develop parts and assemblies for electronics devices. We assist customers in prototyping and manufacturing including packaging, and provide turn-key development services. I have no reservation whatsoever in dealing with Ms. Angela Zhao’s company. Ms. Zhao and I have worked on projects in the millions of dollars that included supply, new equipment investments, quality expectations (very tight tolerances) and high. I would trust Ms. Zhao with my whole company if asked. She has always been dependable, available and responsive. It helps that she is literally a Rocket Scientist, so technical matters are a very strong suit. Columba Industries has most capable, dedicated, honest, and hardworking people in US and China. They handle international business operations very well. It will surely payoff to have them help with your product development project. You’ll be impressed with their quality work.